The White House is coming to Houston and wants to meet with Asian business owners! 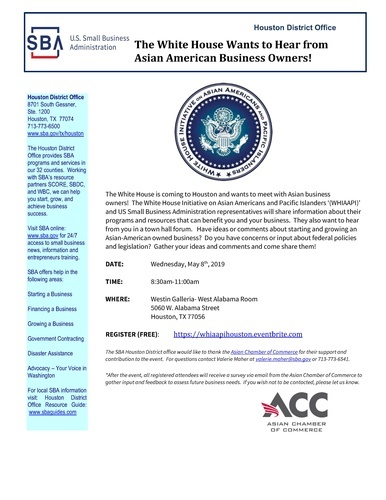 The White House Initiative on Asian Americans and Pacific Islanders (WHIAAPI) and US Small Business Administration representatives will share information about their programs and resources that can benefit you and your business. They also want to hear from you in a town hall forum. Have ideas or comments about starting and growing an Asian-American owned business? 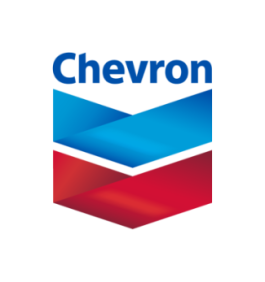 Do you have concerns or input about federal policies and legislation? Gather your ideas and comments and come share them! This is a FREE event.